You hit the problems with Elysium right on the head. It is a film with great special effects and enjoyable action that is so heavy-handed with all of its social issue of the day preaching that it distracted from what was supposed to be a view of the future. Subtle is not a word used to describe this film. My reaction to Oblivion was much more along the lines of the guys in your family. I loved it. Correction, love it. It was my favorite film of 2013 and is one of my favorite science fiction films ever. 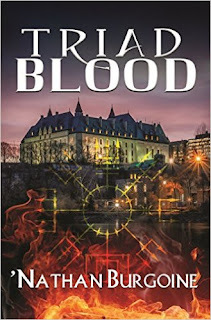 Sure, none of the plot elements are unique, but that isn't what I look for in my science fiction. I want to be told a good story and for me this was that. Visually it is stunning in all aspects, I enjoyed the way the plot twisted and turned, the performances were very enjoyable and it hit all the right buttons for me. Carl, we agree on Elysium. I like at least a little subtlety with my social sci-fi films. Oblivion was a visual feast! I can see why you loved it so much because I was transported by the cinematography and, as opposed to Elysium, did not find myself distracted by a battery of contemporary issues while I watched the film. The futuristic elements were strong and present. And, I forgot to say in my post that I love the fact that it was set in the NYC area which was so recognizable to me. It's interesting that you and the three men in my world totally agree. They loved all those twists and turns. I will watch this film again, on purpose. I want to go there again. 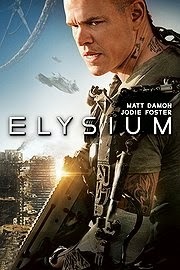 It is a shame, because Elysium had the potential to be something memorable...for all the right reasons. The way Oblivion affected me is real similar to the way I felt about John Carter in 2012. They are both films that for whatever mysterious reason ended up embodying what I love about the science fiction from my youth. That makes absolute sense Carl. I'm a sucker for science fiction films with outer space settings, battle action and creepy aliens, and heavily influenced by Earth-bound films like Soilent Green, Planet of the Apes, and Blade Runner. That all stems from youthful preferences. I have not seen the film John Carter! Why didn't I hear about that film? I need to remedy that. Correction: I did watch John Carter! My husband reminded me of how much we loved the ending of that movie, and everything clicked in after that. I did NOT recognize the title. Great movie! That is hilarious, as it so aptly points out one of the problems with the marketing of the film: the movie's name was boring and did little to promote what the film was about and where its inspiration came from. I really liked Elyssium, went to see it with my parents and my dad really liked it, I see what you mean about it being a bit overblown with the social-political stuff, but I enjoyed the action, and I rather like that the movie made it's point quite clearly rather than just hinting and not going there in the end (if that makes sense). Alex, I'm so glad you enjoyed Elysium! The action and special effects were great and as I say above, I will probably get caught up watch it again because of them. *g* When it comes to the sociopolitical issues we all have distinct tastes in how its handled in sci-fi. Blomkamp's style works for a lot of viewers, just like it does for you! Personally, I prefer not to be pulled out of the futuristic world into the present by current events because the plot points are so blatantly exposed, I prefer to experience them there, in the future, knowing they are meant to be connected to the present. But, again that's my preference! 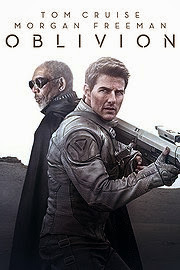 Watch Oblivion, see what you think. I tend to like Cruise's sci-fi films. They're usually good despite what the critics say (they love to slam him regardless). Minority Report is one of my favorite sci-fi films with Cruise. Have you seen it? I watch it every time it's on tv. Wow two movies with pretty big actions that eluded my radar. Like I haven't heard from them at all! They don't really appeal to me though... but glad you enjoyed them! Nath, I'm always keeping my eye out for science fiction films. John and I are huge fans (or fanatics if you would), and try not to miss them. We watch them at the theater, or on DVD if we can't get to the movies. I'm REALLY sorry we missed Oblivion on the big screen, it's so gorgeous.